Eric Koloski was cleaning files off an old iPod and found some great footage of Yuuki Spencer from a couple of years ago…so he edited it and got it online! There’s a ton of great material in here, and let’s be real – two year old tricks from Yuuki is like brand-new material from just about anyone else. This is like your favorite band cutting an entire album and then forgetting to release it! Enjoy! 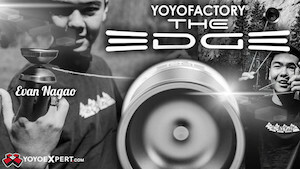 Yoyo used is the Yuuksta by YoYoFactory. The players at UnitYo in the Czech Republic put together a great clip video from the recent SLYZ yoyo contest. It’s got some highlights form the contest freestyles, as well as plenty of great tricks from other players in attendance. Good stuff! 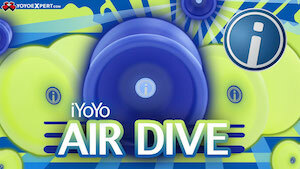 Today you will have opportunity to learn some tricks about filming a yoyo video! As main video director at Backspin, I’ve been seeing a lot of requests lately on making an actual “How To Make A Proper YoYo Video” tutorial. Now, as the newest YoYoNews writer, for my first article I will do my best to explain the basics of shooting a good video. Take note: this is mainly a tutorial addressed to beginners, but I think more advanced videographers will also find something useful here. While it’s not gonna cover everything, it should be enough for you to start working on some crazy video that will become a masterpiece. Let’s get started! First of all – equipment. You can use whatever you have, and honestly – anything will do. I started creating yoyo videos about 4 years ago, and I was using mostly GoPro at the beginning because it was most affordable tool for me. While I have to admit that GoPro footage is quite nice, I’ve switched to filming with DSLRs for some obvious reasons. First of all – quality. DSLRs have this amazing ability to achieve this widely famous “film effect”, which can’t be achieved when you are using your smartphone, GoPro or some old cameras. I immediately fell in love with it, and this is the main reason why I am still using DSLRs. 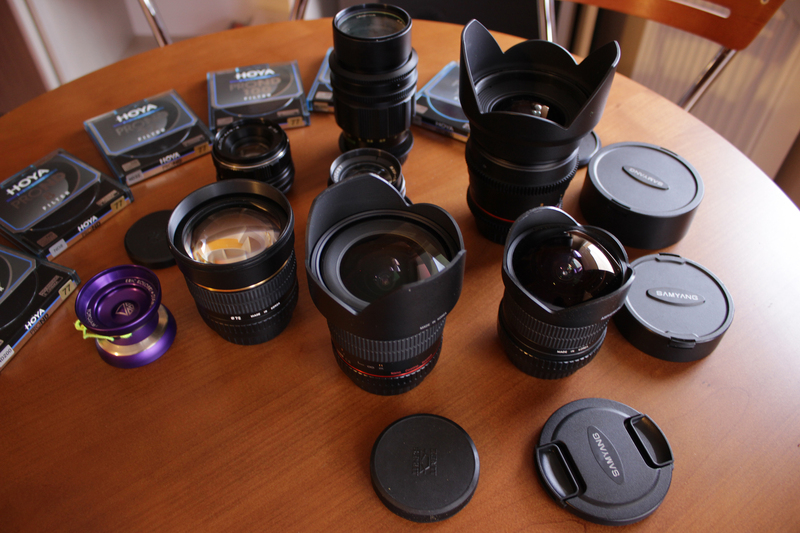 Second thing that I love are lenses – there is a large variety of them, and each of them has its own soul and cool effect. I’ve been using a lot of different lenses – starting off on some old-school soviet lenses like Helios 44, then switching to some Canon lenses and ending up on partnership with Korean brand Samyang. I am using their lenses all the time now. If you still don’t have your equipment, and want to start your journey as yoyo video maker with DSLRs I can suggest you starting with a Canon 600D with either kit lens or a Canon 50mm. Those two are really cheap, and you will be able to shoot some decent footage with them for starters. Before we get into my filming techniques, let’s start with the very important part – technical aspect of filming. 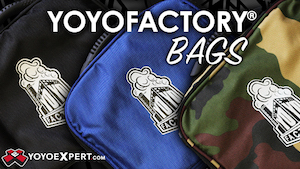 There are few things that you will need to understand before trying to make a proper yoyo video. Let’s talk about lenses. I don’t want to get too in-depth, because this article would be at least 10 pages long. Instead, I will try to quickly cover some things that will help you out with buying some lenses and actually understanding how they work. One of the biggest factors of lenses is so called “focal length”. The focal length of a lens determines its angle of view, and thus how much the subject will be magnified for a given photographic position. The important thing is that wide angle lenses have short focal lengths, while telephoto lenses have longer corresponding focal lengths. Focal length is scaled in millimeters. The rules are simple – the bigger the number is, the image will be more narrow. That’s why lenses with less than 21mm focal length are usually addressed as wide-angle lenses, and more than 135mm are called telephoto lenses. To simplify: if you are using a lens with large focal length, it will require for you to stand farther from an object/player to fit it in the camera frame. For yoyo videos I can suggest you to use wider lenses – you don’t need amazing close-ups, cause you will not be filming wild animals in a bush, but a yoyo player that is playing with yoyo around his whole body. My standard set of lenses that we use at Backspin are an 8mm fisheye lens for wide-angle scenes, 24mm lens for “normal” scenes and 85mm for close-ups (usually B-roll). With using different lenses you are basically playing with what is called “depth of field”, which is basically the degree to which objects in the foreground, mid-ground and background are all in focus at once. A shallow depth of field would mean that only one plane was in focus, deep depth of field would mean that all planes are in focus at once. This is more or less that blurry background effect you see in some “pro” videos. Depth of field refers to the range of distance that appears acceptably sharp. It varies depending on camera type, aperture and focusing distance, but for this tutorial purposes let’s assume that you can achieve much more shallower depth of field by using long focal length lenses. Depth of field is one of the biggest factors why people love filming with DSLR – this is the main thing standing behind this whole ‘film look effect’. The next important thing is aperture of the lenses, often called as “F-number”. The aperture range of a lens refers to the amount that the lens can open up or close down to let in more or less light, respectively. Apertures are listed in terms of f-numbers, which quantitatively describe relative light-gathering area. In that case, rules are also simple – the lower the f-number is, the “brighter” the lens is, which means it can absorb more light into camera sensor. It’s always better to have the smallest possible f-number lenses, because they will allow you to shoot in low light conditions (which is pretty common at yoyo contests). There is nothing more annoying than watching a noisy and grainy videos – that’s why you should try to pick up lenses with as lower f-number possible, which will greatly help you with your filming. I sometimes use some lenses that “see” in the dark better than the actual human eye. How cool is that? Next big thing is video resolution. While DSLRs are constantly upgraded, there are two most popular formats that people are using: HD and Full HD (720p and 1080p). While it’s better to have higher resolution, from my experience I can suggest you stick with 720p. Most of the DSLR support 720p format with 50/60 fps. What is that? FPS number is the number of frames per second. While some of the mirror-less cameras can get you big number of FPS, with DSLRs it means that you can either use 1080p with 25-30 FPS, or 720p with 50/60 FPS. The bigger number of FPS allows you to make a smooth slow-motion in post process (cause more frames are packed in one second of the footage, so by expanding it, it’s still gonna be smooth). For yoyo video purposes I can suggest you to stick with 720p. It looks good on YouTube, it gives you possibility to add a cool slow motion effect in your videos, and for these semi-pro purposes it’s totally fine. With all that information about aperture of the lenses and resolution of filming, we are coming down to the next important aspect which is exposure. A video/photo exposure determines how light or dark an image will appear when it’s been captured by your camera. Moreover, this is determined by only three camera settings: aperture, ISO and shutter speed (so called “exposure triangle”). Mastering and understanding their use is an essential part of developing an intuition for video filming! Each of those three settings control the exposure in different way. Aperture controls the area over which light can enter your camera, shutter speed controls the duration of the exposure and ISO speed controls the sensitivity of your camera’s sensor to a given amount of light. The key to achieve good exposure is to understand how those three factors combine and react with each other; for example aperture affects depth of field, shutter speed affects motion blur and ISO speed affects image noise. Wide aperture like f/1.2 can get you shallow depth of field (blurry background), while aperture around f/16 will give you a “narrow” and sharp look. The ISO is simply how sensitive the film, or sensor in a digital camera, is to light. 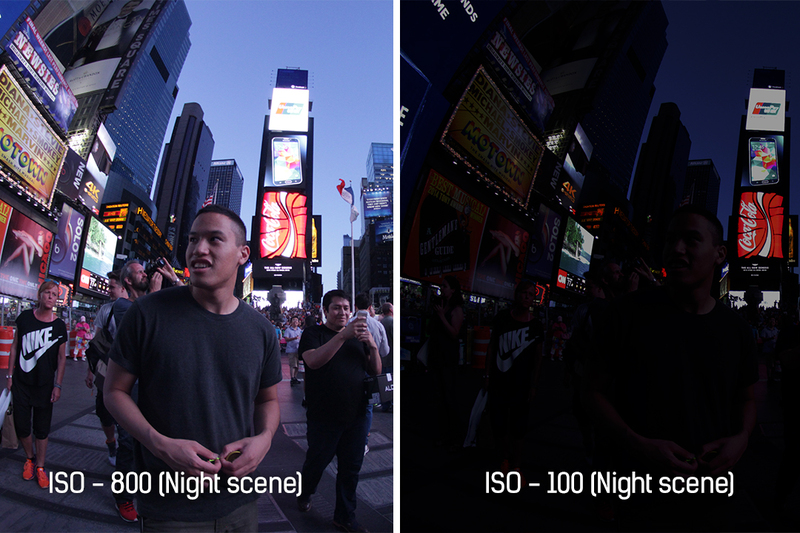 The lower the ISO is the less sensitive it is to light (so for example 100 ISO will be much darker than ISO 1600). Depending on the ISO you are using, your shutter speed will have to be adjusted to allow the right amount of light for what you want to achieve. For our purposes, just try to keep as low ISO as possible. The bigger ISO value you are using, the more likely you will notice noise on your footage. That’s why often beginner producers think that they can shoot a video in complete darkness with ISO around 3200, and then be surprised after downloading footage from camera to computer that it looks so noisy that even their old VHS tapes look better. As for shutter speed – the lower the number is, the smoother the image. For yoyo video purposes, I would suggest using numbers between 1/50 -1/100 (of course number will depend on other factors as ISO and aperture). Higher values will give you more “jerky” motion, and it doesn’t look good – especially when you are filming smooth yoyo moves. You can easily see the difference by making an video with low and high shutter speed and for example recording sidewinder or so popular these days UFO binds. With those tricks and low shutter speed you will not be able to see clearly the string (more like illusion of many strings in a DNA shape), with high shutter speed you will be able to see one string clearly and it will not look so cool anymore. Finally we have some essential knowledge about cameras. Let’s go for some filming! People often ask me what additional gear I am using for filming. It’s basically two things – the steadycam – which is metal construction that combines bearings and counter-weights and allows your camera to “fly” in the air. It’s quite complicated and expensive thing to work with, so for purposes of this tutorial I will not dig into the details. More important for beginners is a proper tripod. Trust me, when anyone is showing me their video, the thing that I hate is handheld footage. It looks horrible! Even the best video can be ruined if the footage is really shaky. There are of course some techniques that allow you to shoot handheld and achieve good results, as well as some ways to stabilize the footage in post-process but a good tripod is a much simpler way to achieve it. If you have a DSLR, or thinking about buying one, then add few bucks more and buy a tripod. For filming purposes, it would be great if the tripod would have fluid head. Fluid head is responsible for all those smooth transitions in Backspin videos (which are often confused with usage of professional sliders – I am not using any of them!). By practicing motion of moving camera on fluid head, you can really achieve great and smooth results. The tripod I used is called the Velbon DV7000 with Velbon PH-368 pan-head , and I love it! I can recommend it for all beginners. Time for very important and also maybe weird part (at least for some of people). I am calling it the time before filming. I want to share with you my way of filming, which is I think much easier than others, and also gives really lovely results. What I do before filming? I choose music first. Every single Backspin video had its music chosen way before filming. I still have at least 10 songs that I want to use somewhere in the future. Why? What is the point? Why can’t I just choose a song after filming, and find one that fits the tricks and mood? The answer is very simple – because you can “film” the entire video before even turning on your camera. It’s of course a metaphor – what I am trying to say, is that you can visualize your whole video before making it and it will help you a lot! Trust me, it’s that simple. Just put on your headphones, pick up your favourite playlist or just use the Spotify radio. Then close your eyes and start to think about video. Feel the music. Visualize scenes. Think about combining music transitions with the scenes transitions. Think what music type will be best for the video you are about to make. What I do every single time is just losing myself into music and visualizing the video that is yet to come. Think what scenery, what location would fit the music. Music is one of the biggest factors that define a good yoyo video for me. Just try to watch any Backspin video with muted sound. It doesn’t look that good, eh? After that process, you will come to very simple conclusion – you already know WHAT and WHERE to record. That means that you already saved DOZENS of hours on searching for proper location for filming, or trying to figure out on which angle to film while worrying about how much daylight you have left. You are ready to go and film it in one-shot. That happened to me with videos like 10,000 Hours (WYYC 2014 coverage). I already knew what scenes I wanted to get at the venue, which players I wanted to include, and what I needed to put focus on, weeks before contest! It saved me a lot of time, and that is clearly a treasure at yoyo contests when you want to spend a lot of time on just hanging out with friends, not running in chaos and recording random and chaotic footage. I don’t deny that spontaneous filming is good – it is just way more exhausting and less-profitable when it comes to final results. The whole process of thinking about video before recording will make your life easier. You can now just go, film exactly what you have visualized before and that’s it. It’s that simple! Very important thing is not to hurry. From my experience, videos made in a rush look awful. Don’t forget to shoot tricks several times! When it comes to yoyo videos, it’s really annoying to see that even if the video itself is done nicely, the player for example miss the last bind on the trick, or make a mistake. You want to create masterpiece? Take another 1 minute to hit the whole trick clean, instead of just saying “It was sloppy but it doesn’t matter”. Be a perfectionist! It pays off. Remember to use a lot of angles. By “a lot” I mean A LOT. When I am recording videos, I am usually shooting at least two angles – either shoot from the left/right or far distance/close up. It’s very entertaining to see several angles combined with smooth transitions. You can easily combine it then with the music cues (beat, rhythm). Don’t make videos for just yoyo players. Make them for everyone. There is nothing more boring for non-yoyoers than long video with just one angle. Everything looks the same then for such non-yoyoer. Old-school kiddos can say now “But I want to show that I can whole hard trick at once”. I see the point, but to be honest – that’s why we have contests and freestyle routines. Prove your skills in front of audience at the contest, in a video just concentrate on hitting the emotional plane of everyone watching it. Works every time. Trust me. As for the video length – a lot of people, so called “industry professionals” told me that yoyo videos should be around 1.5 minute long maximum. This is just plain wrong. If you make a good video, people will watch it even if its 30 minutes long. In analyzing the views of our videos for 4 years now, our usual “view rate” is around 90%. That means that almost everyone watches our videos until the very end. Concentrate on making a good video, not on some unnatural rules made by people who just want less work. Quality should be always before quantity. I want to see some emotions in a viewer after watching my video, rather than making simple promo video that will easily earn thousands of views. There are thousands different ways to edit a video. The easiest, and probably the most user-friendly way is to start learning Sony Vegas. I’ve started on it, and it was quite enough for some simple cutting/making transitions editing stuff. But, I would honestly recommend searching for some tutorials for Adobe Premiere Pro. It’s a great tool, with suprisingly easy interface and awesome possibilites. I edit all of my videos using Premiere Pro and ocassionally Adobe After Effects. You can find great online tutorials for both Sony Vegas and Premiere Pro. Take some time, be patient and in a blink of a eye you will be able to cut your own videos really well. For some extra coloring I would recommend the Magic Bullet Suite plugin for Premiere Pro, especially the part of it called Colorista II. It’s a great plugin that allows you to do whole color grading and give your footage some really cool looks. As for rendering formats, I would highly suggest using codec h.264 with .mp4 format. It’s the best codec when it comes to quality/size ratio, so it will look good on YouTube/Vimeo and the size of it won’t make your internet blow up when uploading it. That’s it for now! I am fully aware that this article is long, and not many of you made it up to this point, but I am glad you did. I hope that anyone interested in making professional yoyo videos will find something for himself. 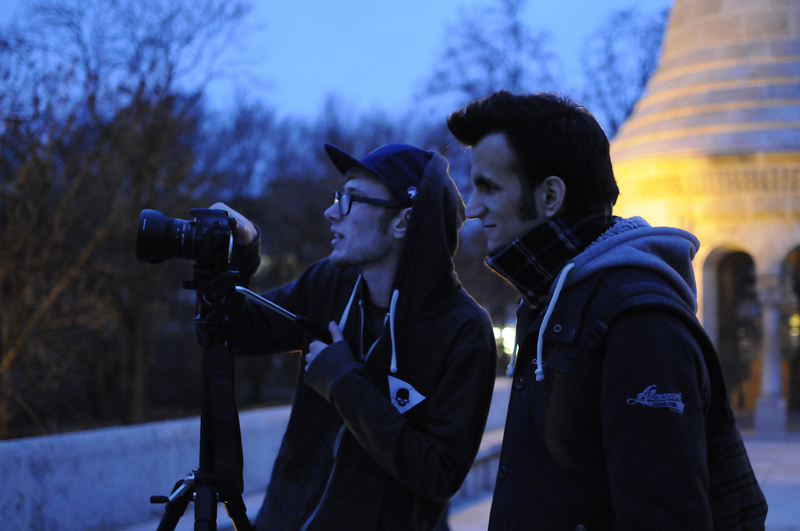 Remember – don’t be afraid to experiment, to be inspired by other people, to practice your filming skills. Maybe you will find your another passion! Everything about this video is just too damn good. Seriously. Chase did the song for the video, too, which you can listen to on his Soundcloud page, or buy (support the artist!) on his Bandcamp page.